So you want to do a kidney cleanse? If you are lucky to live in a tropical country (like I do), and you have a coconut vendor inside your village (like I do), then you are in luck! For a mere P 18.00 per day ($ 0.36 US), you can get a freshly opened coconut with juice and meat. Use this for your kidney cleanse everyday for at least 30 days. Did you know about the legend of the PINK coconut? Yes pink. The color pink. 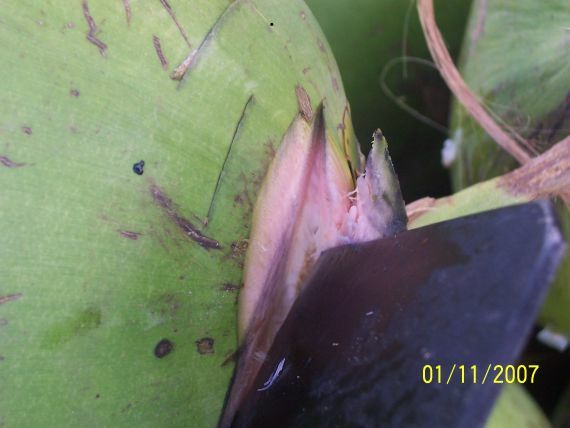 There are special although relatively rare coconuts that are pink near the stem. You won’t be able to see it from the outside. The coconut vendor has to make a slight cut and show you that it is indeed PINK!!! This rare coconut occurrence is THE BEST coconut for the purpose of kidney cleansing. 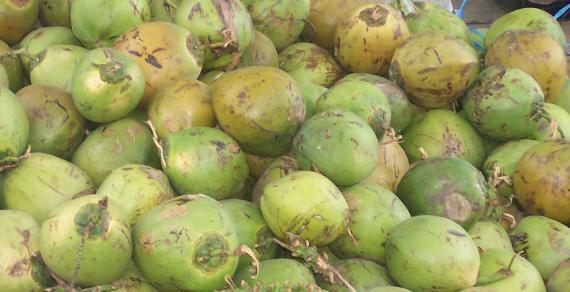 Tell your coconut vendor to set aside PINK coconuts for you. How different is the pink coconut from the regular coconut? From the outside, it looks the same. The juice and the meat has a slightly different relatively sweet taste than the regular coconut. Nutritionally, coconut vendors know this is the kidney cleanse variety. This is a close-up shot of a pink coconut. I just drank 1 coconut and I had to pee 4 times afterwards. Yes, good info. I have heard about coconut for alternative remedy. I live in Ghana- West Africa and i’ve not a pink coconut before. I live in Ghana- West Africa and i’ve not seen a pink coconut before.